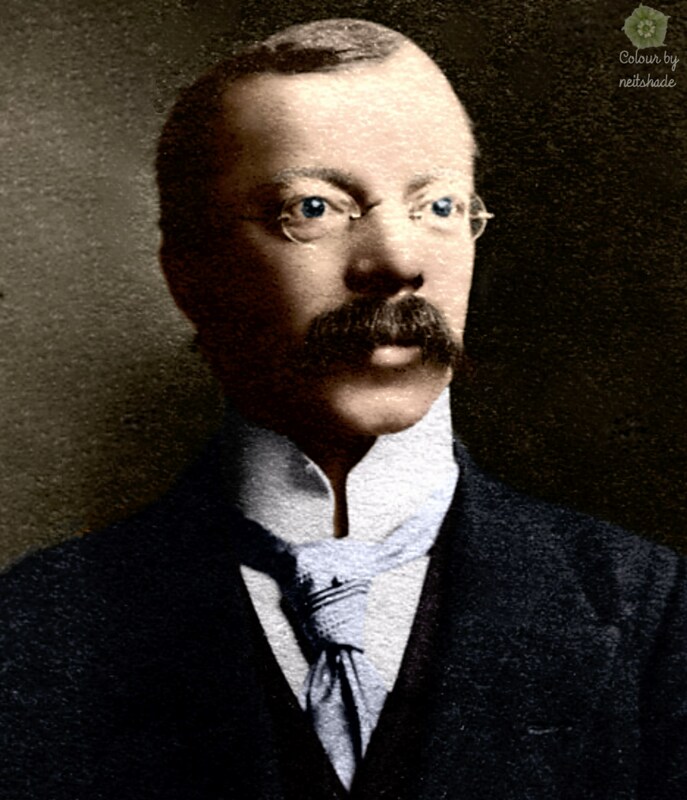 Hawley Harvey Crippen, an American homeopathic physician and salesman hanged for the murder of his wife, Cora Henrietta Crippen, in Pentonville Prison, London. He was the first suspect in a criminal case to be captured with the aid of wireless communication. In recent years, doubt has been cast on his guilt but, persuasive as some of the arguments are, his innocence cannot be proved. In one scenario, the remains found at his house which led to his conviction are said not to be of his wife Cora, but of another woman, which leads to the suspicion that he was found guilty of the wrong murder. B&W photo, originally published in 1910.